December is probably the most festive month of the year; whether you celebrate Christmas for religious or secular reasons, or prefer another holiday or tradition, chances are you spend some of this month thinking about things that matter most: family, friends, and the memories you make with them. For many of us, that includes holiday movies; today, Aaron is sharing one of his family traditions with Michael. Last week Michael expanded the Star Wars Universe just a little bit more for Aaron by showing him the 2003 Star Wars: Clone Wars TV series. 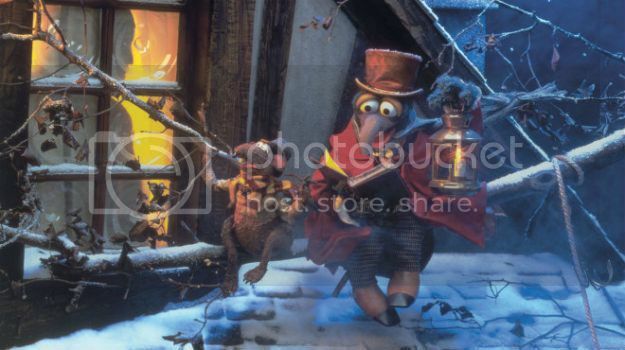 This week Aaron takes Michael out from under the proverbial rock with The Muppets Christmas Carol. Aaron Hubbard: I have probably been watching this movie since before I could even write my name and have seen it close to one hundred times. I make it a point to watch it every year, and sometimes not even around Christmas time. There aren’t many movies that hold more sentimental value to me or to my family; so I definitely wanted Michael to share the experience with me this year. Michael Ornelas: I know I’ve seen it on TV before but I’ve never watched it, and I’m glad it did. Some of the best movies are ones intended for kids but still work for an adult audience, and we get the unique viewpoint of reviewing something that was watched for the first time by one of each now. My Christmas jams growing up were Rudolph the Red-Nosed Reindeer, How the Grinch Stole Christmas, and the Mickey Mouse version of A Christmas Carol, and so I never felt compelled to watch that story from two different franchises. Aaron: Before we tackle the Muppets aspect of this movie, I feel like this just needs to be put out there: Charles Dickens is a genius and A Christmas Carol is one of my favorite books. It’s about Christmas, yeah, but it’s also a great story about what it means to be human and what the most important things are. There’s a reason this story is adapted over and over; it’s just a good story. What was odd for me was that so much of the script in this movie is directly from Dickens; so I heard it first here and then read it later. Now I appreciate how the movie really captures the spirit of the book while adding it’s own unique spin on things. Michael: Not very many adaptations capture the spirit of a story, but this one absolutely does. Scrooge’s journey cuts no corners — it’s particularly dark for something meant for kids, but the intent of character growth shines through just as much as the book. Speaking of “dark for kids,” it’s worth noting that we watched the original version of the film that includes “When Love Is Gone” which was cut from later versions. While musically, the song is just okay, thematically, I feel it added so much, as it describes why Scrooge is as cold-hearted as he is and demonstrates how difficult it is for him to relive that moment in his timeline as Caine watches on. I can’t imagine watching the movie without this pivotal scene. How About that Michael Caine? 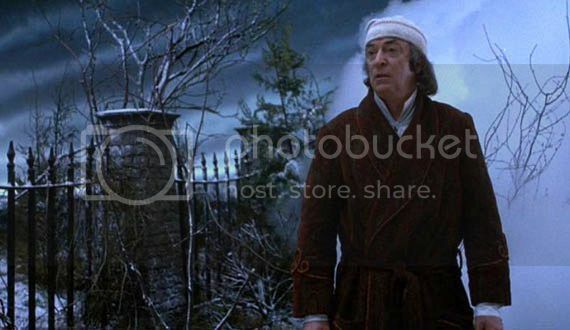 Michael: So this story lives or dies by the casting of Ebenezer Scrooge, and I feel that Caine gave a defining performance. I don’t think I can picture anyone else playing the grumpy grinch of a man. The pacing of his change of heart was incredibly diverse, as he played a different part of that turn in every subsequent scene, and it was convincing, and sad, and heartbreaking…and then funny, and lastly joyous. He got a lot of mileage out of my emotions. I love the moment in particular at the end where Scrooge pretends to be his old self to Bob Cratchit (Kermit) before swerving him and giving him an increase in salary and paying off his mortgage. Great performance at every last moment in the story. Aaron: It’s even more impressive when you consider how much of this he had to do without any other human actors to play off of. Yeah, there are puppeteers, but he’s not talking to them. He’s talking to frogs and homeless rabbits and ghosts on a blue screen. It’s a credit to his ability as an actor that he makes those conversations seem genuine. I really enjoy his character arc, especially because it’s a gradual change instead of a sudden epiphany. I think some actors who have played Scrooge keep him mean spirited for a little too long and the narrative doesn’t work as well because of it. Michael: Certainly. He found subtle differences in the amount of grumpiness to let through and managed to mold it with genuine concern as though he was considering being a nice guy, but didn’t want to commit to it. Seriously, this is one of the all-time unsung performances I’ve ever seen, and I think that’s because it’s in a Muppets movie. Aaron: The Muppets are a unique piece of pop culture. They are obviously designed to appeal to kids on a visual level, but their conversations and humor tend to be more adult. As a kid, I just knew I enjoyed looking at Gonzo and Rizzo while they were talking, but as I watch this movie every year I get more and more of the jokes. One of my favorite bits is Rizzo asking if this is okay for kids, and Gonzo replying “This is culture.” And that about sums up my opinion of kids entertainment; you shouldn’t dumb things down. Kids can handle more than we give them credit for, and it’ll stick with them for a long time. But on the other side of thing, you can have a physical joke like Rizzo and his jelly beans that isn’t spelled out for kids but is hilarious as an adult. Michael: Yeah, the Muppets are an interesting part of our television heritage. As I write this, I’m watching the current Muppets TV series’ Christmas episode, and while it’s not exactly edgy humor, it’s definitely more targeted toward adults than it is kids, and it’s always been that way (although I can’t comment on the recent movies because I haven’t seen either of them). And there are so many different Muppets that you can actually plug them into any established story and have it work pretty well (Muppets Treasure Island is objectively pretty great). So there’s reason to get excited anytime they’re added to an existing property, whether it’s Dickens or WWE Raw. Aaron: I appreciated a lot of the bits of Muppets culture they got in this movie. Animal playing a triangle, Sam Eagle forgetting what country he was in, Fozzywig’s business being rubber chickens. Those are bits that are weird but make sense if you know the Muppets outside of this context. I think my favorite choice here was adapting Jacob Marley from the books into Jacob and Robert Marley (Statler and Waldorf). Their segments are pitch perfect and the song gets stuck in my head all the time. Though I did notice that the screen has some pretty obvious blue screen. Michael: The Dickensian essence was captured perfectly in this adaptation, and Michael Caine knocked it out of the park. The music was just okay, in my opinion, but that doesn’t take away too much for me. Things were kept simple, and they were heavy when they needed to be, and light when it called for it. I’m glad you had me watch this, and it may become a Christmas tradition for me too. Aaron: I was worried that I wasn’t going to objectively review this; that first note of the opening logo gave me chills. But I did notice that some of the innovative tricks they used with the puppets have not aged well and can take me out of the movie a bit. But I think this more than stands the test of time for other aspects: Michael Caine’s performance, the back and forth between Rizzo and Gonzo, and the fact that it has amazing source material to work with. I’ll probably watch it at least fifty more times in my life and it is always going to make me happy. There are so many Muppet movies; which is your favorite to watch? From Under A Rock: The Ultimate Battle!! We will take 16 protagonists and 16 antagonists from the 21 movies we’ve reviewed so far, throw them in a bracket, and leave it up to YOU to vote who wins these hypothetical battles! Will Ellen Ripley battle the aliens from They Live? How about Rocky Balboa vs. Principal Ed Rooney from Ferris Bueller’s Day Off? Well you will get to determine who wins these fights to the death. Be sure to check it out Christmas Day (and the days that follow)! Michael: Alright, now that we have some Ultimate Battle pimping out of the way, our next pick comes to coincide with the now-postponed release of Quentin Tarantino’s The Hateful Eight, which will now open on the very day our next column comes out! Aaron: Well, it’s hard not to get excited about a Quentin Tarantino movie. Three of his movies make it into my current top 25 movies, and while I don’t think his first is going to hit that high mark, I’m looking forward to seeing the launch of his movie career. Michael: You might be surprised. It holds up well. It’s not in my top 25, but it’s a very good movie, so I’m certain you’ll enjoy it. I haven’t seen Jackie Brown yet, but Tarantino’s only real weak entry is Death Proof, but even that had its moments. 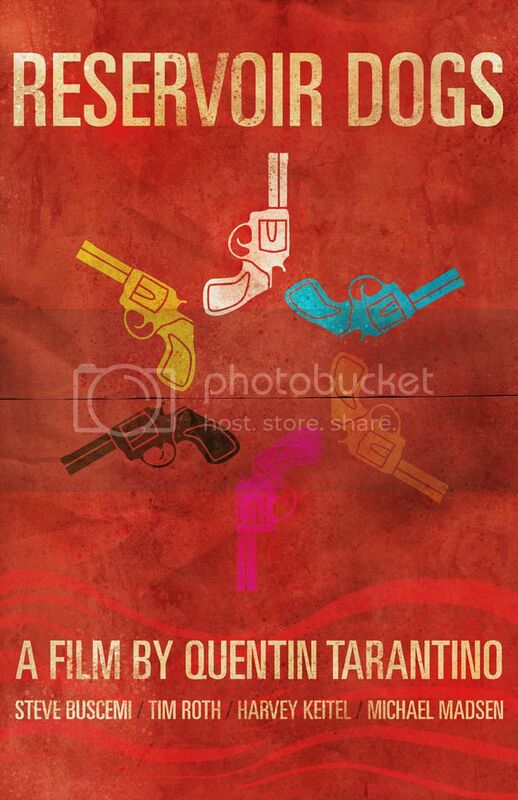 What’s your favorite Quentin Tarantino film? While this time of year is joyful and festive for many of us, it’s also a time to be thankful for the things we have and the people who have sacrificed to help make those blessings possible. 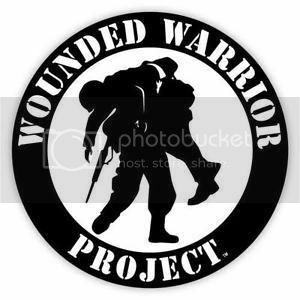 We encourage you to consider making a donation to the Wounded Warrior Project, dedicated to providing comfort and assistance to soldiers who have returned from battle as heroes, but have lost something in the process. These brave men and women deserve more than just our gratitude and our respect. If you have the means and feel like helping out, every little bit counts! Charles Dickens is great, and so is A Christmas Carol. The Muppets are also great as well. Sometimes two great things can mix like oil and water and result in a product of inferior quality. This is not the case with A Muppet Christmas Carol. 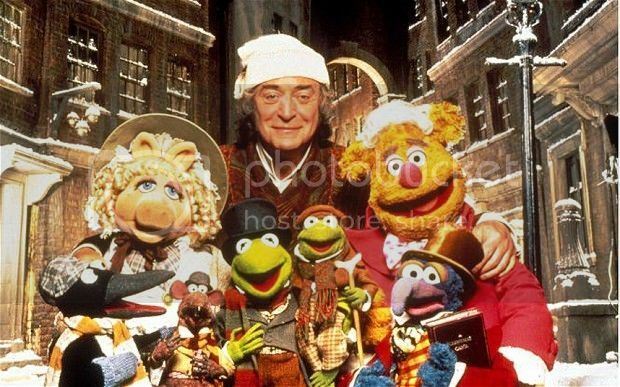 Michael Caine excels as Ebenezer Scrooge, and the Muppets bring their unique charm to perhaps the definitive Christmas novel. 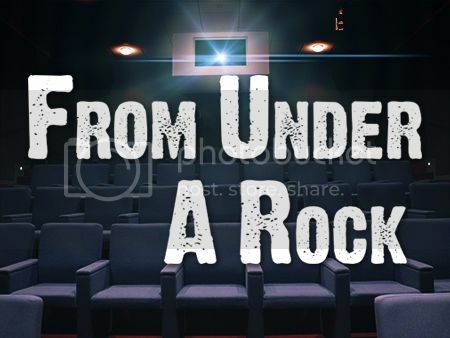 It's a great film for every person in the family to enjoy.